What is guest blogging? Guest blog writers publish their content on third-party websites, the main reason to do this, they want to get more readers on their personal web-blog. This is two-way work, one you publish your content on others site and second others publish their content on your blog. The main reason both need more and more traffic to go viral. Guest Blogging is the most important element of Search engine optimization marketing. Its play wide role to get quality traffic on your blog and grow your business online. Some sites get your article for approval because they want to verify that your article contains the information about your business/product. If you publish any picture in your content it is better for you to give your site link properly because the interested reader will visit. Improve your Rank in search engines: You need to get backlinks from established and high ranked site/blogs which gives you more chance to get improve your ranking in search result. If you don’t have money to pay for advertising then guest blogging is a better opportunity to increase your rating. Credibility and Portfolio awareness: Guest blogging is the best way to get credibility and portfolio increment. Instead of paying for advertisement. The Quality Traffic: The reason why internet marketers and publishers spend money on guest blogging because it is effective and directly attract readers to visit your site. You just need you write quality content in order to get quality traffic from the well-established websites from the same industry. You content attract audiences they are interested in your product/content. Brand Exposure: Guest blogging provides the platform which increase the Brand exposure to your audience. High-traffic websites can send a number of visitors daily to your blog. Thus, you get free on-going exposures. By now, I hope you get some ideas of guest blogging benefits. You can use it to get more traffic to your site to improve your rank and search engine visibility, besides the traffic form the sites you have the backlinks from. 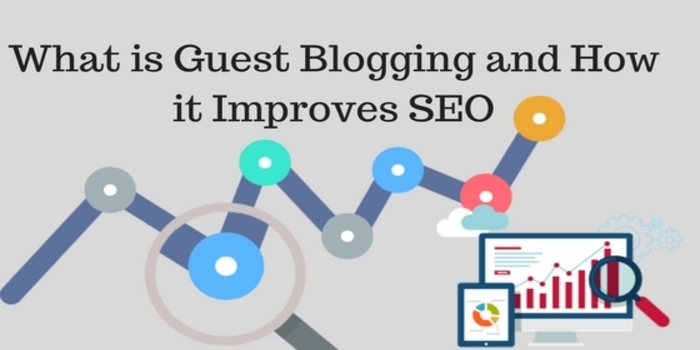 Guest blogging works very well once you get the right content on related established sites, with backlink(s) pointing back to your site. And the best platform to build your blog website on is WordPress. You will gain many powerful features WordPress has to offer, especially its search-engine friendly plugins. I wish you all the bests. Happy guest blogging!